Two 240 mil. jugs. Add any other special instructions in the checkout comments. 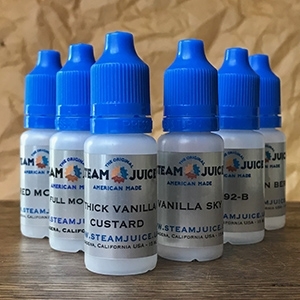 You can see our descriptions on the "JUICE" page of our site. Six 120 ML. bottles. Choose any 6 of your favorite flavors. Six 15ml plastic squeeze bottles of juice.